Known as Bara Brith in Wales and Brack or Barmbrack in Ireland, this is a tea bread loaded with dried fruits. There are modern versions that use chemical leaveners (baking powder, baking soda, self rising flour) which I have already demonstrated in the Welsh version here. To celebrate St. Patrick’s Day this month, today I am presenting the more traditional yeast risen version of Irish Barmbrack for #BreadBakers. This month’s #BreadBakers theme hosted by Wendy is St. Patty’s Day, so that means something Irish or green. 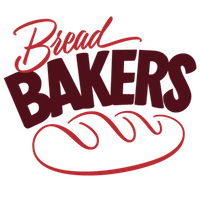 Don’t forget to check the breads posted by my other bread baking buddies posted on the bottom of the page! Irish Barmbrack is perfect for breakfast with some cheese, preserves and coffee. This heavily spiced fruit packed bread is perfect for breakfast or brunch. Combine dried fruits including cranberries in a bowl. Pour tea over the fruit and mix to combine. Leave overnight. Strain and squeeze out as much liquid out of the fruit as possible. In a small bowl, heat 1 cup of water to 115 – 120 F. Sprinkle yeast on top. Leave for 5-10 minutes, until foamy. In a large bowl, combine 2 ½ cups of the flour with the spices, salt and sugar. Add butter and proofed yeast. Using the dough hook attachment of an electric mixer, knead until you have a shaggy dough. Add another cup of flour and knead for 5 minutes until the dough is smooth and elastic. Add the fruit and knead until it is well incorporated into the dough. Add an additional cup of flour and knead until well incorporated. Spray a 10” springform pan with non stick spray. Place dough in cake pan. Cover with plastic wrap sprayed with non stick spray and a tea towel. Leave to rise until doubled, about 2 – 2 ½ hours. Preheat oven to 350 F. Bake for 50-60 minutes, until loaf sounds hollow when tapped. Brush the top with the warm honey and bake for 3 minutes more. Isn’t it funny how St. Patrick’s Day celebrations change over time? This bread is perfect for my type of celebration this year. Wow….I would love a slice or wedge of this for breakfast. Sounds just amazing. it was super delicious – yes you should give it a try! This is a gorgeous bread, Mireille. I’d though about doing Barmbrack too. So glad you posted this recipe. I grew up with this as an after school snack, so good! lucky you – it was so delicious! I’m totally not into drunk people. My husband is Irish born and thinks of this holiday as totally American. I guess now it is catching on back in Ireland… funny how that happens. Hello Mireille, I once made Irish Barmbrack and we loved it. However, mine was without yeast. I would love to try out the yeasted version as well. Loved your pictures! I have tried both and have to say I liked this one better. I definitely suggest trying the yeasted version! yes it imparts an awesome flavor! That is a gorgeous bread Mir. I’ve never been part of the St. Patrick’s day celebrations but heard how rowdy the drunk sometimes get after the parade. oh in recent years it even starts before the parade – I get the hell out of Dodge before it starts or at least I try to!